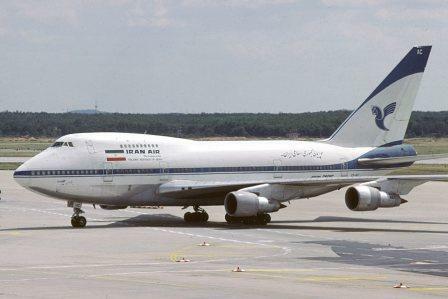 JNN 12 May 2015 Tehran : Iranian airlines have obtained 15 used planes since February as part of efforts to renovate the country’s ageing fleet which remains subject to US sanctions, the transport minister said Sunday. An embargo dating from 1995 prevents Western manufacturers from selling equipment and spare parts to Iranian companies. The restrictions, which have been blamed for crippling the industry, were partially lifted by an interim agreement on Iran’s nuclear programme that came into force in January 2014. This allowed for the sales of spare parts, though direct sales of planes remained banned. But, without providing details of how the planes had been obtained, Transport Minister Abbas Akhoundi said nine planes, mostly built after 2003, had entered the country on Saturday. Eight other planes had been obtained since February 20, he was quoted as saying by the ISNA news agency, though two of them are “too old to fly” and will be used for spare parts. “With the entry of these 15 planes in the fleet, the average age of (Iran’s) airliners dropped from 20 to 19 years,” the minister said. Iranian media reported that the planes that arrived on Saturday — eight Airbus A340 aircraft and an A321 — were purchased by Mahan Air. Before the recent purchases, the Iranian fleet had around 140 aircraft. “We hope that with the nuclear negotiations and the prospect of the lifting of sanctions, discussions will continue with major aircraft manufacturers,” Akhoundi added. Iranian aviation officials said in April that the country would need 400 to 500 airliners in the next decade to upgrade the country’s fleet. Iran has suffered several air crashes in recent years blamed on ageing planes, poor maintenance and a shortage of new parts because of sanctions. A Ukrainian-designed Antonov An-140 turboprop crashed moments after leaving Tehran last August, killing 39 on board and narrowly avoiding more deaths when it plummeted near a market. This entry was posted in Iran News and tagged Ageing Fleet, iran, Iran Aif. Bookmark the permalink. ← Shia Target Killing escalates , A DSP & a Doctor Martyred wihin 24 Hrs.